Are you a fan of the neon styles and eccentric pop of the 80s? Back to the 80s Cruise is a 7 night cruise to Bilbao, Vigo and Lisbon that brings 80s entertainment throughout your journey. Departing from Southampton, you'll visit 2 Northern Spanish cities, each with their own charm and personality, and Lisbon, one of Europe's amazing cultural hubs. 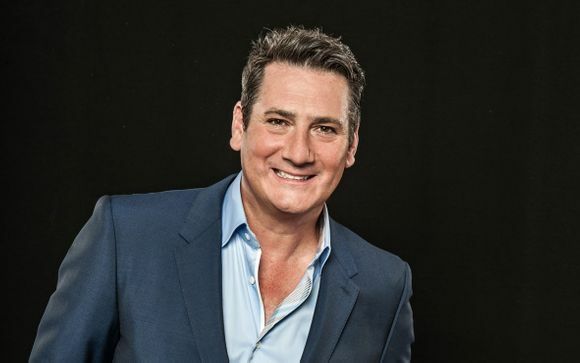 There are four types of staterooms and suites for you to choose from (Interior Guarantee, Ocean View Guarantee, Balcony Guarantee or Junior Suite Guarantee) on a fantastic Full Board basis - but more than meals, there are stars (like Spandeau Ballet's Tony Hadley) aboard! When booking, members must use the same name that is on their passport. Enjoy access to a fantastic selection of the some of the world’s best cruises, tailored to you - your perfect personalised cruise at unbelievably good prices! Our team have a wealth of experience and would be delighted to assist you with anything, from a first time cruise around the Mediterranean, to a two week transatlantic cruise on the 6* Regent. We can tailor a package to make this the trip of a lifetime or your yearly cruising holiday. For more information, call one of our dedicated Cruise Experts on 01392 683 171 so we can start creating your perfect Bon Voyage. 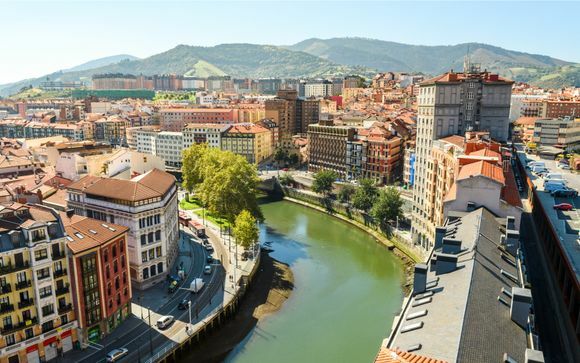 Bilbao is home to a range of world class galleries and museums, delicious cuisine and a rich and proud cultural heritage. Part of the Basque region, it comes with its own culture separate from Spain. Be sure to visit The Guggenheim, one of the best art galleries in the world. 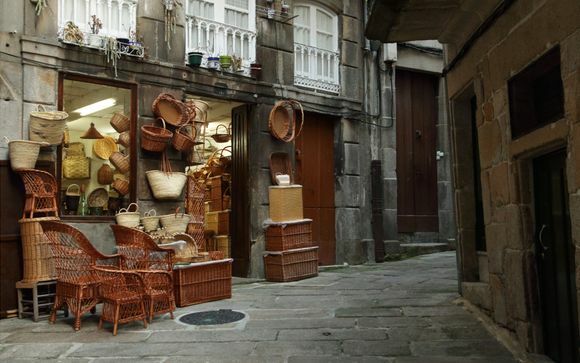 Vigo is the main financial engine and commercial centre of Galicia in northwest Spain, offering superb beaches and a fascinating cultural heritage. Culture seekers will enjoy the Roman remains in the area, historic Art Nouveau buildings, art galleries and prehistoric forts. 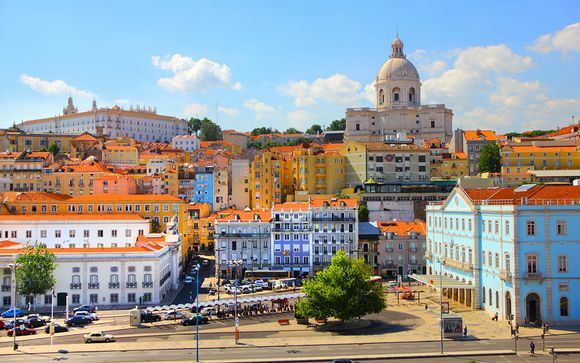 Set on a series of seven hills, Lisbon is the colourful, cultural and cosmopolitan capital of Portugal. Its ancient maritime history brims with a sense of adventure, which flows back from the River Tagus into the heart of the city’s narrow cobblestone streets and astonishing mix of architecture. Check in at the terminal will be from approx. 11am until 3pm. Check in closes strictly 90 mins prior to sailing. Departure is at 4:30pm. At sea. Discover the amazing amenities on your ship! Arrive in Bilbao, Spain, at 7:00AM. Take your time to explore the city. The ship departs at 15:00. Arrive in Vigo at 14:00PM. The ship departs at 20:30, giving you plenty of time to amble around Vigo's streets or relax in the sun. Arrive in Lisbon at 11AM. 21:00 departure means you can have a leisurely afternoon in Portugal. Your 7 night cruise includes daily Full Board dining (excludes speciality restaurants). This is a unique cruise like no other: it comes with themed nights, poolside dances, performances and more to remind you of the 80s! 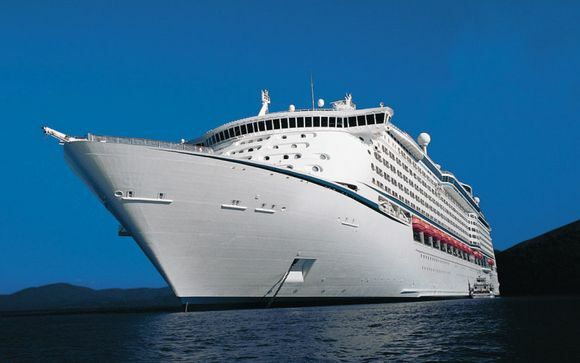 You'll visit some fantastic cities, such as Bilbao, Lisbon and Spain, on this luxury liner. Special stars include Spandau Ballet's Tony Hadley, ABC's Martin Fry, Belinda Carlise, Kim Wilde, Sara Cox and even more familiar names. There will be a Meet and Greet with these favourites and performances throughout your stay, a simply unmissable experience. We also recommend you indulge in a theme event, with themes such has '80's icons' and 'rivers of neon'! There is also a poolside movie theatre, casino and more to keep you entertained while on board. 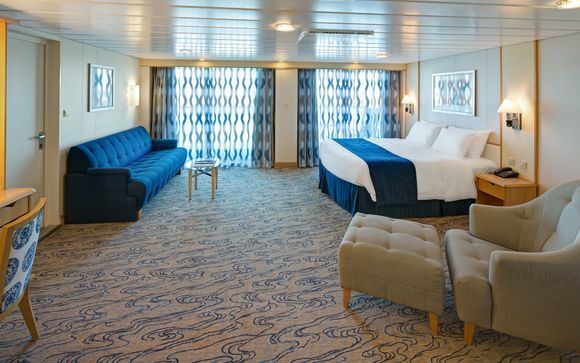 On this cruise, with 1557 rooms, bigger really is better. To help you get a sense of the immense size of this beautiful ship, imagine the fact it's able to fit 27 eating establishments - from restaurants to cafes - on board. And that's not even including bars and nightclubs! The cruise ship is 311 metres long and it takes advantage of all of its space! There are a range of restaurants, a basketball court, a rock wall overlooking the sea, ice-skating rink and even more. There is a spa, library and, of course, many clubs and show lounges. The ship is easy to get around: with 14 elevators, you'll be able to explore the area with little difficulty! You may choose from an Interior Guarantee, Ocean View Guarantee, Balcony Guarantee or Junior Suite Guarantee. 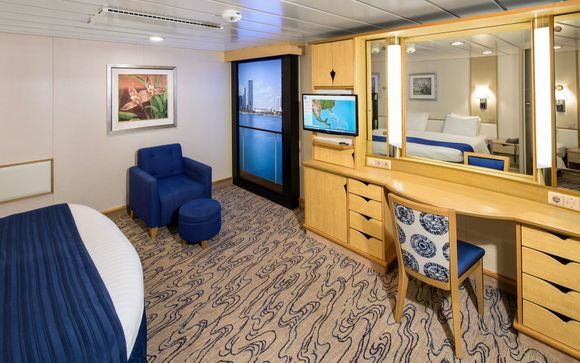 All rooms come with a TV, telephone, ensuite, vanity area with a hairdryer and a dedicated stateroom attendant. This room is located in the ship's interior. Rooms are of similar size to the pictured room. This room comes with an ocean view so you can look out to the sea. This room comes with your own private balcony. If you're looking for an extra bit of space and luxury, the Junior Suite has more sleeping space. Transfers to Southampton Port are not included in this offer. Southampton Port can be accessed by train. The flight inclusive offer(s) shown on this page are ATOL Protected by the Civil Aviation Authority. Voyage Privé is acting as agent for Cruiseco with ATOL number 10701 and your contract is with that company. Please note: you may be asked to provide a credit/debit card deposit on arrival to cover any purchases made in the hotel / on the ship.